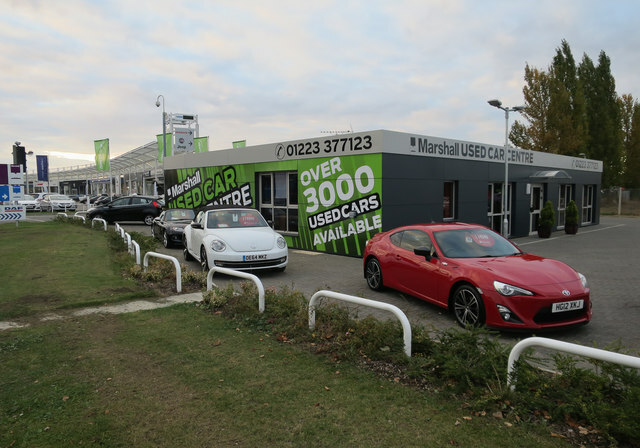 A new expansion of the large site with a Toyota gt86 in pride of place. See TL4859 : Marshall's site, Newmarket Road. © Copyright Hugh Venables and licensed for reuse under this Creative Commons Licence.